This is a Christmas gift that we give our grand children every year. Always a different one and dated for that year. Very happy with ornament. Came engraved and looked just like picture. Fun ornaments I used Name-year for my Great Grandson. 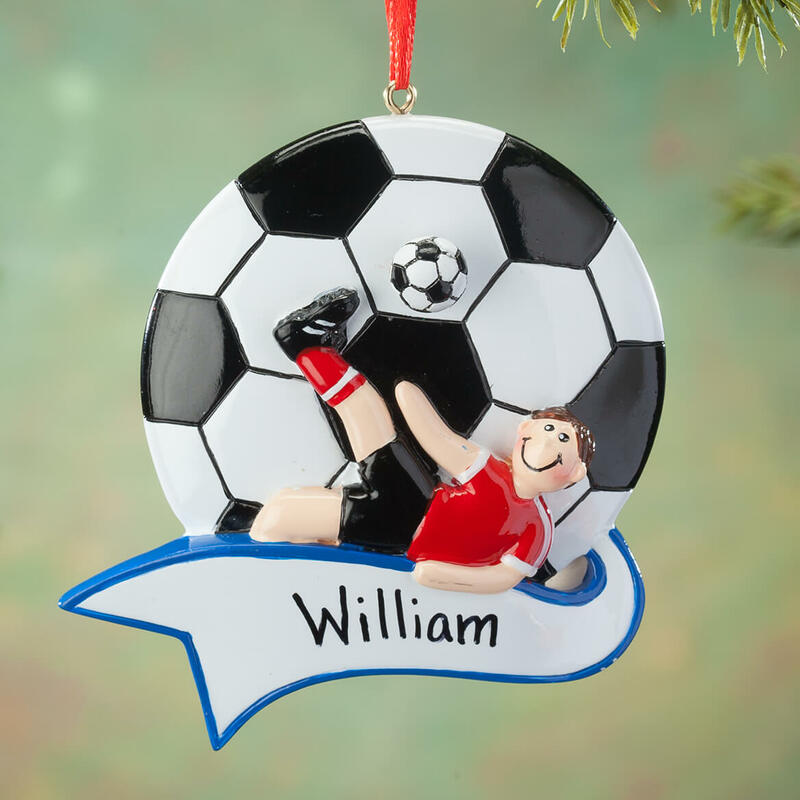 Perfect for my 3 year old grandson that started playing soccer this year! 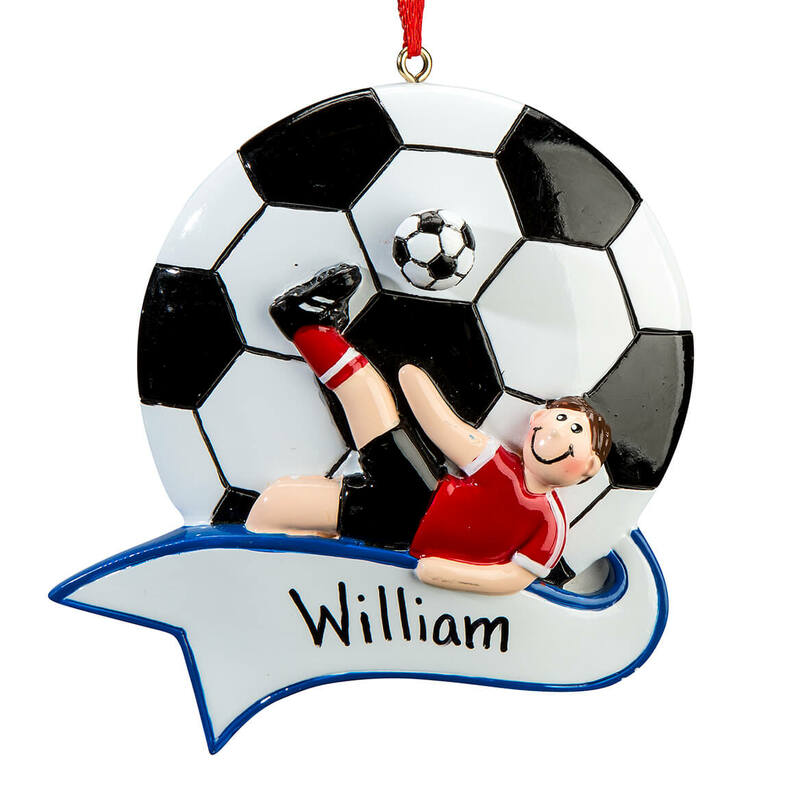 I buy tree ornaments for my grandkids every year from Miles Kimball. My oldest grandson plays soccer. 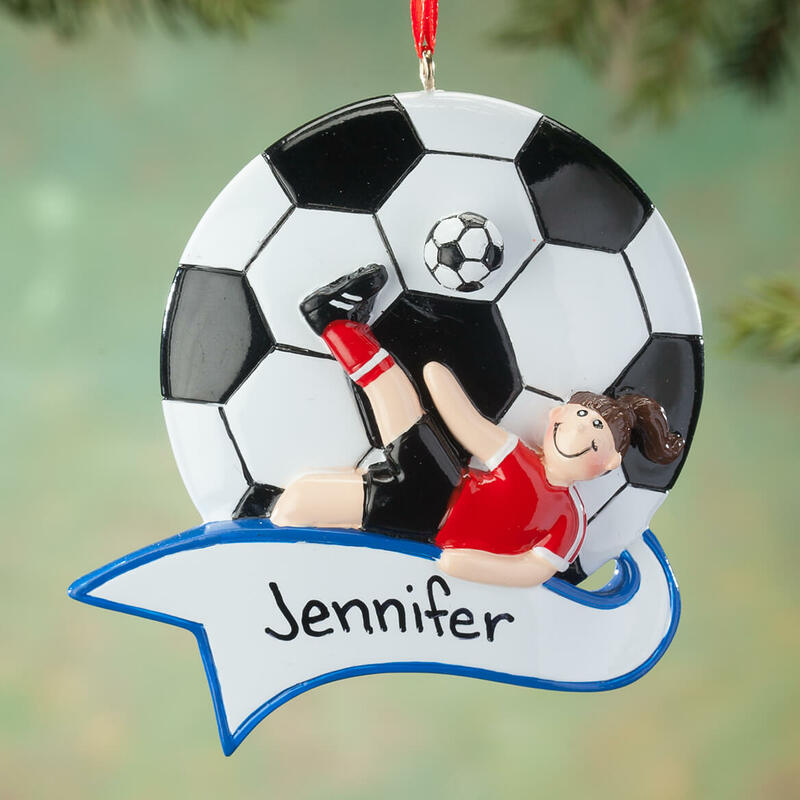 It was new and I have a soccer player in my family.